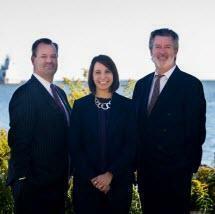 At Alpert & Fellows, in Manitowoc, Wisconsin, our lawyers have assisted clients throughout the area for more than 30 years. We understand the challenges faced in personal injury cases. We work diligently to shoulder your legal burden to allow you to focus on your recovery and your family's well-being. Don't let the legal issues relating to your personal injury case overwhelm you. Contact our office online or call 866-376-8603 to schedule a free consultation to discuss your case and how we can help you on your path to recovery from your injuries.